A 'rescue bid' is being discussed on Monday evening by Warminster town councillors as their controversial plans to apply for a megaloan is still on the cards having been decisively rejected by electors at a unique vote. The town council earlier this year almost succeeded in getting on with their plans to borrow £800,000 to spend on the Assembly Rooms two years after starting to talk about what to do with the under-used building. Local people reacted angrily with their protests growing stronger and stronger resulting in the first ever parish poll. The question that was voted on did not stop the town council from carrying on essential works costing about £250,000 but it should have put the brakes on the megaloan. "I was one of those who was appalled at this," says former councillor Paul Macdonald. The resulting publicity from the 'no to a megaloan' campaign has seen calls ranging from demolition to expressions of interest from those that want to buy all or part of it. "Now we see yet another expression of interest with a promise of an unknown amount of capital from guess whom - the Tory controlled Wiltshire Council," adds Paul who is co-author of visionforwarminster.co.uk with another former councillor Steve Dancey. A Wiltshire Council officer wrote coincidentally as the town council launched another first - its biggest ever random survey of townsfolk - to say that 'we would be most interested in entering into discussion with you to ascertain whether any of our needs could be incorporated into the refurbishment'. "This looks like a rescue bid to me," says Paul. 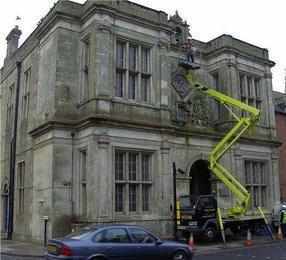 "A bid to rescue Tories on the town council by Tories on the Wiltshire Council. "Especially as Wiltshire Council reveal this would be 'the first example in the county'." "I welcome it and would now propose that it goes a stage further. The town council made a mistake buying this for a pound from the district council in the first place. "Who gives away an asset worth £325,000 at today's valuation for a pound?" 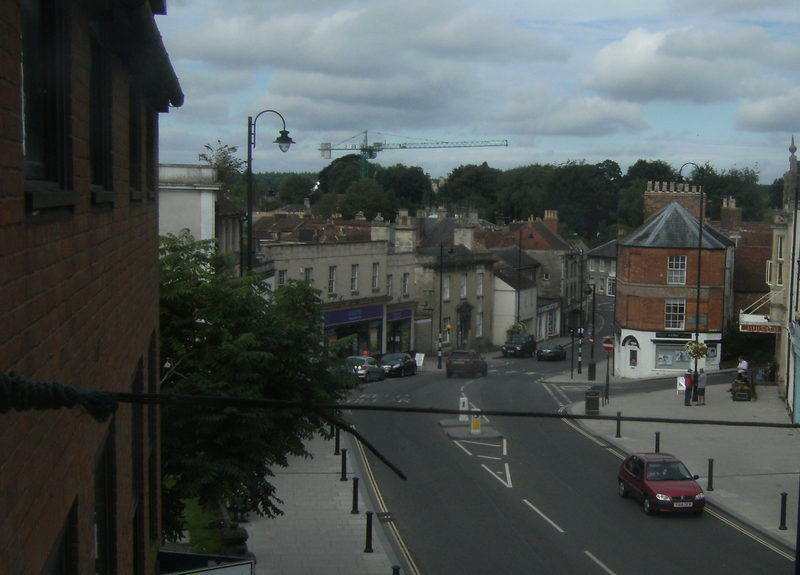 The visionforwarminster website has been responsible for putting not just the Assembly Rooms to the forefront of public debate in the market town but the future of the Town Hall as well. "The town council should now negotiate to sell it back to the WC which has taken over all the other district council assets." "Let's have the community hub that Steve and myself have been arguing for but let's ask Wiltshire Council to also consult all their 'partners' if they should take over ownership." Steve Dancey adds: ''This proposal is not a million miles from what we set out two years ago in our vision for older people - but I'd like to know the numbers.